Science and technology are often thought of as the savior of mankind. It’s treated in the way the loyal canine is treated in regards to humanity — it’s man’s best friend. It enables us to live longer and conquer disease. It flies us into space and through the atmosphere on jet liners. It enables us to stay in contact with our loved ones in ways unprecedented in human evolution. It’s modern day magic of a sort that makes the impossible possible. But when do science and technology go too far? When does it’s desire to solve problems overstep it’s bounds? Are some of the problems it intends to solve actually problems at all? As we march into the future and science and technology improves and becomes more powerful, these are things we should seriously ask ourselves. This is especially true when one thinks how technology grows and disperses. It at first starts as prohibitively expensive and can only be held in the hands of powerful nation states. Eventually as time passes though, things generally become less expensive and more distributed. Could this possibly happen with technology that could be extremely dangerous for all of humanity? Herman Sörgel (2 April 1885–25 December 1952) was an engineer and dreamer. It was in his blood, quite literally. His father was an engineer as well and head of the Bavarian Building Authority and hydro engineering in Germany. The work of Herman’s father was so renowned he was given a noble title. Young Herman followed his father’s footsteps, taking a keen interest in hydro engineering as well. Sörgel eventually founded the most influential architecture magazine in Germany in 1925, which gave him financial freedom. After his success, Herman took a trip to America to research an article and what he saw stunned him. This young country was bursting at the seams with activity and new ideas moved so quickly. Germany and Europe in general were still recovering from the horror of World War I. Sörgel was gripped by pessimism and worried about Germany and Europe’s future — it was going to be made irrelevant by the United States and Asia. Europe was destined for starvation and war. Something had to be done to save his world. Sörgel used what he knew to solve the problem — science and engineering. He formed together a few different ideas into a unified plan. He called his plan the Atlantropa Project. The plan would set up power grids across the Mediterranean. 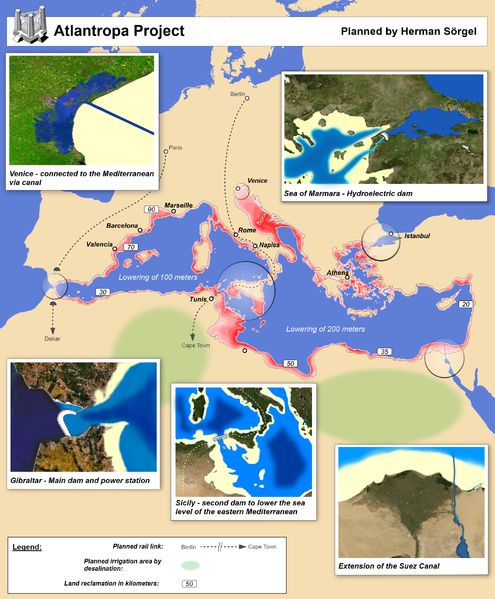 Giant dams would be put in place to partially drain the Mediterranean Sea as well of 1/5 of it’s water. The land reclaimed could be used for the benefit of humanity. The dams would create hydroelectric power as well, enough for all of Europe and more. In addition, Europe and Africa would be linked together by land into one giant continent — Atlantropa. 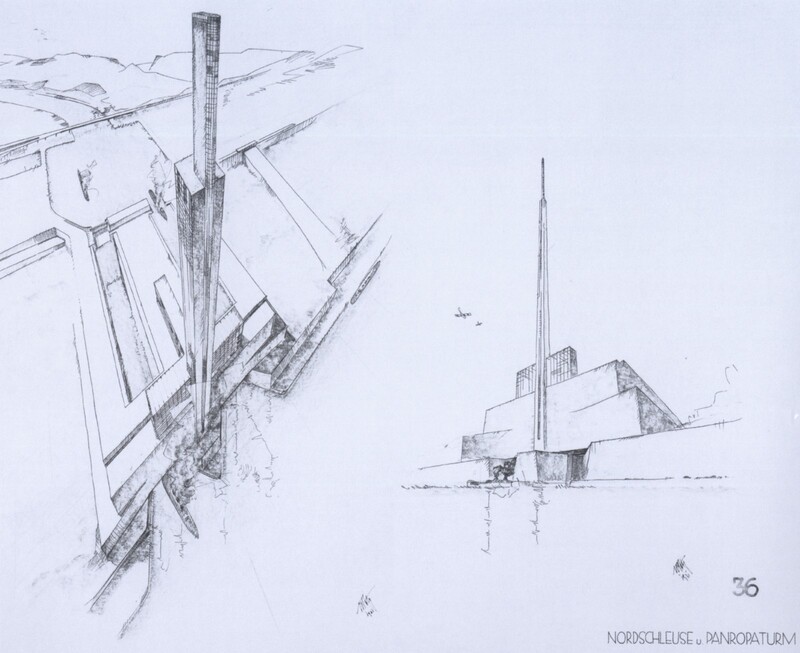 Due to Sörgel’s architecture magazine, he had the ability to show his idea to many of the leading German and European engineers of the day. Many of them were totally on board with the idea and Sörgel attracted the attention of the German public as well. Despite the crazy and outrageous size of the plan, it was thought to be feasible. The Mediterranean sea naturally evaporates, with the difference being brought in from the Atlantic Ocean from the Straight of Gibraltar. The center piece of the Atlantropa project would be a dam across the Straight of Gibraltar. Once the water flow was stopped up from this region, the Mediterranean would naturally start to drain. There would also be two other dams to cut off other water flow from coming into the region. A dam between Sicily and North Africa would cut the Mediterranean into two parts. A third dam would block off the Black sea as well and be constructed in the Dardanelles region — the small area of water between Asia Minor and Europe that separates Turkey. The Gibraltar Dam alone was expected to generate 49,000 Mega Watts, not including the other two dams. The energy generated would be enough to power Europe and the new land reclaimed. The land reclaimed could be used as farm land or for other beneficial activities. Europe and Africa would also be connected by a land link. Many sketches and films of the dams showed trains running along the dams. Sörgel expected the project to take 100 years or more to construct. The length of the project would ensure jobs for the foreseeable future and a cooperation between the nations of Europe. When the Nazis came to power Sörgel, despite being a pacifist, brought the plan to them. He figured their strong belief system and ruling style would be an impetus to push his project through. The Nazis, of course, had other ideas in mind for Europe. Mainly, they desired to conquer it by force and take anything they desired from it. The Nazis rejected Sörgel’s idea and their propaganda wing even made a film slamming the Atlantropa project. After the war, Sörgel also brought the idea to the Allies, which they seemed to show interest in. However, they never moved forward with the plan. Despite the many benefits Sörgel espoused for the huge project, there were many faults. Some of the faults were as big as the proposed Gibraltar dam itself. Speaking of this dam’s size, it was expected to be 26 kilometers long (16 miles) and 300 meters deep (almost 985 feet). Some engineers calculated how much concrete would be needed to construct this damn — their figures showed there may not be enough in the world to make this structure a possibility. There was also the worry of what would happen if the Gibraltar dam would ever fail or be destroyed. A flood of biblical dimensions would hit the area, most likely killing millions. Another problem came with the land that would be reclaimed. It was covered by salt water and the land would be basically salt flats. The land would be useless as farm land. Any reclaimed land would be a desert of sorts where nothing would grow. The reclaimed land would also cause another issue as well. Current port cities whose economy is based on the sea, would no longer be port cities. The cities would now be miles and miles inland. Sörgel and his fellow engineers saw this as an opportunity to build new cities. However, residents in the current port cities would be crushed by the loss of the sea. A final issue with the Atlantropa project would involve the Gulf Stream. The Gulf Stream is a swift warm water current that starts in the Gulf of Mexico and travels across the Atlantic Ocean. It is now thought that if the Mediterranean was dammed off, this would have effected the Gulf Stream. This possible change could have caused a deep drop in temperatures in Northern Europe, causing cooling temperatures and death to agriculture. Of course in Sörgel’s time, this could not have been known. The Atlantropa project was doomed never to start. Despite the lack of acceptance from the Nazis and the Allies, an Atlantropa Institute existed promoting the project. It continued on into the 1960s after Sörgel’s death. The project was also mentioned in several books as well. The idea can currently be see in the Amazon series The Man In The High Castle on their second season. This particular series centers around an alternate history where the Axis Powers won WWII. It’s makes you wonder what would have happened if an aggressive totalitarian state did rule Europe at the time. Would this project have seriously been considered? It could only be imagined the possible damage that could have been caused if it was actually pursued. The pursuit of this feat of science and technology with no idea of the consequences could have been disastrous. In one of his recent books, Our Final Hour, Sir Martin Rees warns of the dangers of unchecked science and technology. He feels the possibility of chaos being caused by terror or error are something worth being concerned about. He also worries about how small level science can cause monumental damage to the world around it. One may think of atomic weapons immediately when one thinks of a humanity killing technology. However, this is still the realm of large nation states for the most part. Biotechnology can be conducted in small scale labs and modify existing diseases so there’s no available cures. Large nation states are much more visible and able to be monitored. A small lab, controlled by a random private firm is a lot less transparent. The shear size of Atlantropa may have doomed it out of existence in it’s time. However, the power of future science done on a small scale will have much less barriers. The desire for money or prestige may cloud the danger of future experiments. The quick pace of the advancement of science and technology will only accelerate what a lab or private company will be capable of in the future. Sir Martin Rees explains that there is the possibility to create scenarios in a modern lab that have never existed in the universe. In particular, he mentions something called strangelets, which could possibly be created in a particle accelerator. If the right kind of strangelet is produced, it could possibly cause a chain reaction which would convert every atom on earth into strangelets. In layman speak — boom, there goes humanity from a science experiment gone bad. So there’s a possibility that a modern day Herman Sörgel may emerge and be much more capable of carrying out his world changing idea. Hopefully, they’ll be fail safes in place to protect the world from being saved. 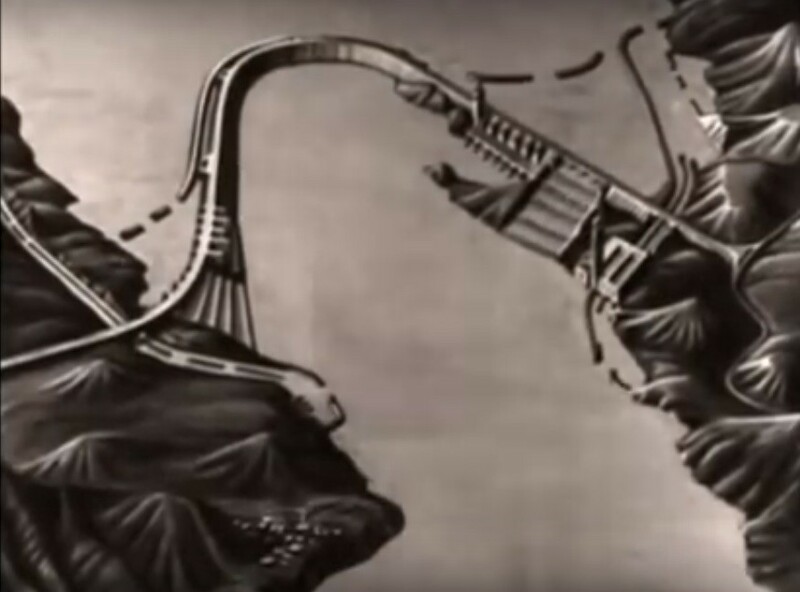 If you’d like to know more about Atlantropa, I’d highly recommend the documentary Atlantropa — the Dream of a New Continent. It’s very in depth and covers much of what I went over in this article. Thank you for reading my ramblings. If you enjoyed what you’ve read, please share. Work out fanatic, martial artist, student, MBA, and connoisseur of useless information. Feel free to follow me and shamelessly promote my articles.